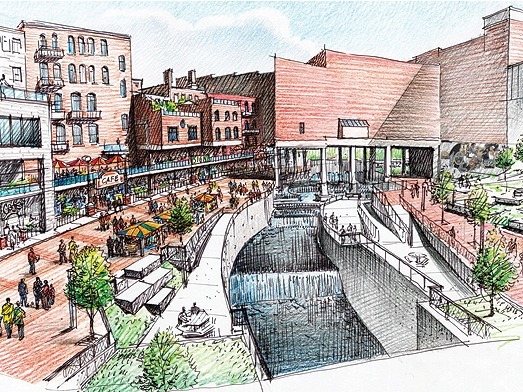 The group behind the Bowery Project in downtown Akron is looking for an additional $2 million to add a classical arcade to the redevelopment plan. The Bowery Development Group, made up of DeHoff Development and the Welty Building Company, is spearheading the $38 million effort to renovate part of Akron’s Main Street adjacent to the Civic Theatre. DeHoff Vice President Beth Borda says the arcade will make it easier to transition between Main Street and the Lock 4 Canal, which flows two stories below. Borda says the additional money could come from loans from HUD or the City of Akron. Once the project gets started, construction is expected to take about a year. Akron City Council will hold a hearing on the project on Monday.